Roofing Questions: How do you find a leak on a flat roof? You’ll know you have a leak by the water coming inside. Leaks on flat roof systems can happen for a variety of reasons, including traffic on the rooftop, maintenance on equipment on the roof, the weld on the membrane has worn out, or the tar has become brittle. The best way to find it on top of the roof is to go up when it is wet outside or spray down the general area with a hose on a dry day. Look for areas where there are seams or pooling. If you gently tread in the area you just wet down, you will be able to see air bubbles appearing when you step down. This is the leak. Mark it and pat yourself on the back for a leak well spotted. 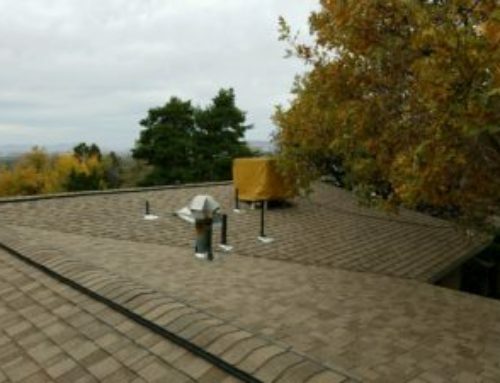 If you cannot spot the leak or you have an need some help fixing, you can always give Salt City Roofers a call to diagnose and fix any leaks or issues on your roof.